How can I be a contestant? I am a vendor, can I reserve a spot at the rodeo? 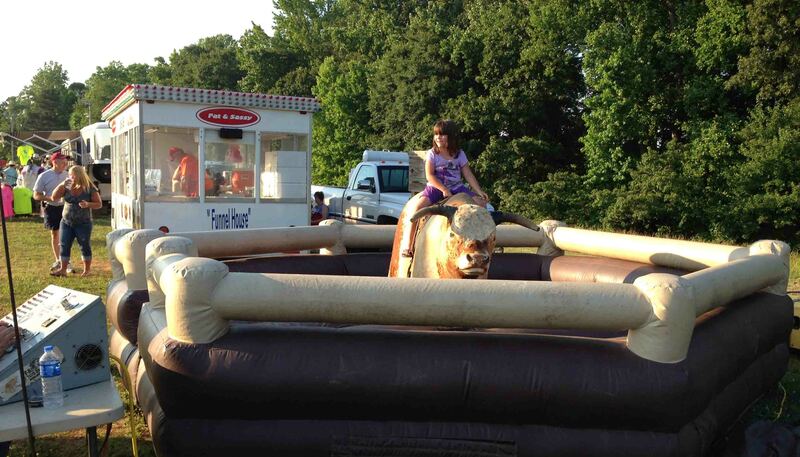 Why is a church presenting a rodeo? How many people will be at Rodeo Polkville? Who is Rodeo Polkville sanctioned by? Mintz Arena is at Polkville Baptist Church. We are located on Hwy 226 in Polkville NC. Please see the directions page for more specifics. Festivities begin at 6:00 pm nightly. Festivities include inflatable games, mechanical bull, balloons for kids, food for all ages, vendors, and a bubble gum drop for the kids. How much are tickets and where I can purchase them? Tickets can be purchased at participating stores Official Ticket Locations: $10.00 for adults. Phone or web orders are not available at this time. In the fall of 1999 Hurricane Floyd brought one of the greatest natural disasters in North Carolina history to the eastern part of the state. Polkville Baptist began sending teams on weekends to help clean out flooded homes. The impact burdened the hearts of our members to do even more. The church decided to adopt a home to see it through to a complete restoration. The need for funds prompted the first Rodeo at the church, in April 2000, to raise money for disaster relief. Since then we have sent other disaster relief teams to needed areas, in addition ever year we send mission teams to other states and countries which help with construction projects and spread the message of Jesus! We also do mission projects in Polkville, NC for those in need. 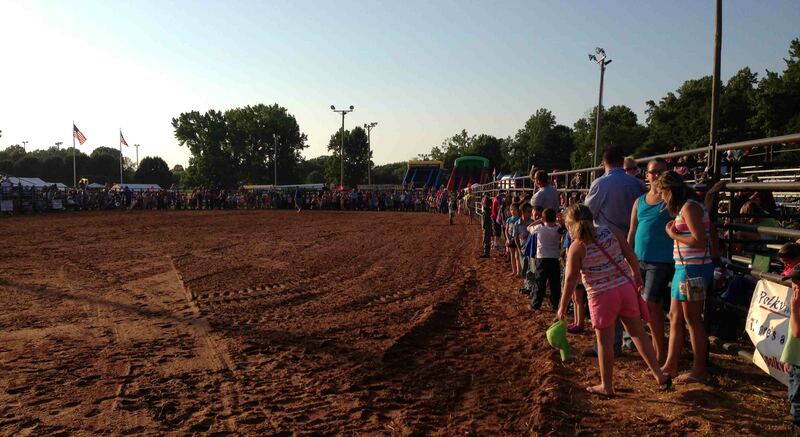 Rodeo Polkville is now each year on the third weekend in June. In 2017 there were over 3,600 people in attendance for the weekend.